On March 19, 1947, the aircraft carrier U.S.S. Philippine Sea, (CV-47), was in Narragansett Bay conducting training exercises. 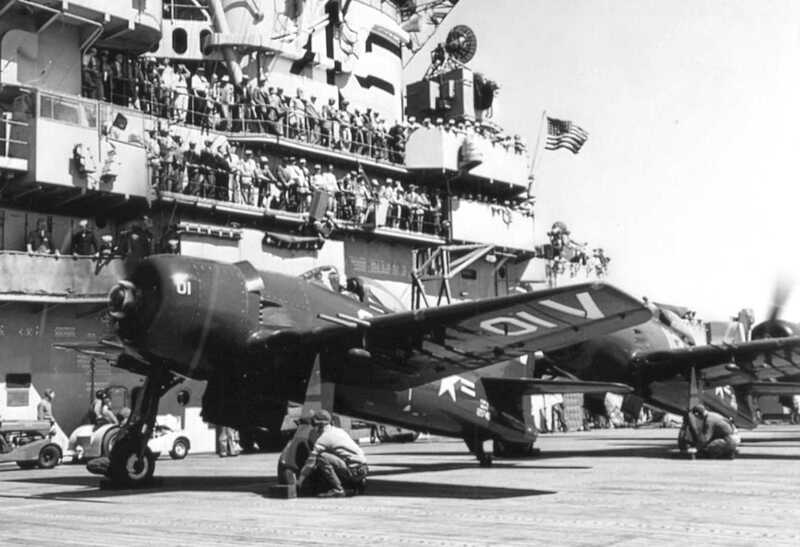 At one point, an F8F-1 Bearcat, (Bu. No. 95046), was set to launch. However, when the catapult fired to launch the aircraft, there was a malfunction with the launch mechanism, and the aircraft went over the side and into the water. The aircraft sank, but the pilot managed to escape and was rescued. The aircraft was assigned to VF-104 at the Quonset Point Naval Air Station.